This skin repairing treatment fights difficult acne and nourishes aging skin. We start with a deep cleanse to remove makeup and surface grime. Exfoliation to remove excess sebum, cellular debris, and impurities. Extractions (if necessary). Once the exfoliating scrub is complete, our skin care specialist will steam your pores open to ensure that all the dirt and other debris has been completely removed so that skin treatment ingredients can be fully absorbed. Next, the enhanced oxygen cream is applied and penetration is assisted by a light galvanic current which deeply purifies and softens pore clogging congestion, kills acne bacteria, and delivers much-needed nutrition into the skin. The result? Not only are blemishes banished and large pores visibly diminished, but overall skin quality, tone, and smoothness are enhanced as well. Also, very good for smokers and those with congested texture. We finish this purifying treatment with a mask suited specifically for your skin type along with serums, moisturizers, and SPF. A classic European experience. Our skin care specialist will cleanse your skin with an exfoliating scrub to slough off dead skin cells and expose healthy skin beneath. This part of the European facial treatment will also remove excess oil, dead skin, and even old makeup that may be clogging your pores, followed by manual exfoliation, and extractions (if necessary). The exfoliating step of this facial will also encourage the skin to renew itself by creating new skin cells to repair the micro damage caused by the scrub. Once the exfoliating scrub is complete, our skin care specialist will steam your pores open to ensure that all the dirt and other debris has been completely removed so that skin treatment ingredients can be fully absorbed. Finally, warm towels are placed over the face to enhance the steaming process and the expansion of pores. At this point, the esthetician will apply a facial mask that is customized to match your specific skin type. Once the mask is applied, it will be left in place for about fifteen minutes, during which time you will be given a brief massage focusing on the neck, shoulders, arms and hands. This step is meant to relax your mind and bring the therapeutic effects of the facial treatment together with the calming effects of the massage for a more unified rejuvenation experience. Once the mask is removed, our skin care specialist will conclude your European facial experience with a toner, moisturizer, and sunscreen. Our chocolate facial begins with a deep cleanse, steam, manual exfoliation, and extractions. This is a blended active face mask with soothing wholesome ingredients like cocoa, coconut milk and honey in addition to powerhouse enzymes that boost your natural defenses against wrinkles and sagging – including CoQ10, Live Carrot Fruit Cells and Ginseng Extract. This treatment is a natural skin softener, wrinkle defender and skin revitalizer that will leave your face feeling tight, smooth, and radiant! Your delicious experience is followed up with moisture rich serums, moisturizers and SPF that will compliment your own specific skin type. Truly decadent! This mask also temporarily flushes your skin with rosiness and is recommended for all skin types EXCEPT those with rosacea. This professional treatment tightens and tones your facial skin and muscles through low voltage electrical currents. Using electrical stimulation during a facial prompts an exchange of ions and revs up the metabolism, increasing the energy of the cells. And the results last longer the more you do it! Other primary benefits of galvanic treatments are the improved oxygenation and circulation of the facial skin. Increased efficacy of products used during the treatment which helps to bring elevated nourishment to the skin. Detoxification and a deep cleansing of the skin are achieved when negatively charged ions draw in and encapsulate toxins, preparing them to be removed. Phase two of the treatment pulls the encapsulated impurities from the skin by attracting them with a positive charge. The galvanic treatment at AVA Rejuvenation is turned into a complete facial experience with cleanse, extractions (if needed), a facial mask specific for your skin type along with serums, moisturizers, and SPF. No wonder those celebrities look so good! A unique facial geared specifically for our teen and pre-teen clients. 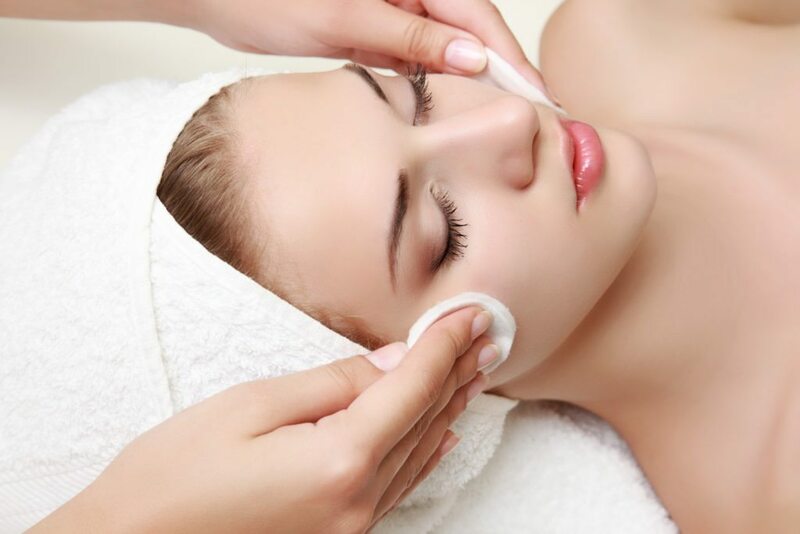 This facial focuses on deep cleansing, manual exfoliation, and extractions. Balancing their natural PH levels and surface bacteria levels. Using an oil controlling mask with a light shoulder massage. Serums, moisturizers, and SPF chosen for your teen’s specific skin concerns. An extreme moisture surge for your skin! A deep cleanse, manual exfoliation and extractions. A nutrient-rich mask that will leave your skin feeling renewed, soft and supple. A therapeutic shoulder massage is followed with serums, moisturizers, and SPF that will deliver and help retain applied moisture as well as your own natural moisture. Nothing else compares to our most deluxe facial experience! The HydraFacial uses a patented technology to cleanse, extract, and hydrate. HydraFacial super serums are made with nourishing ingredients that create an instantly gratifying glow and address all of your skincare needs; fine lines and wrinkles, skin texture, elasticity and firmness, even tone, brown spots, enlarged pores and oily, congested skin. You can even tailor your treatment with super serums to address specific skin concerns. *The Boost products are added at a small additional charge.